Any holiday loving resident will want to have their impressive barrage of lights gleaming through the long winter nights, presumably to show up their neighbors. But whatever the case, it’s something that the competitive holiday decorator would want. 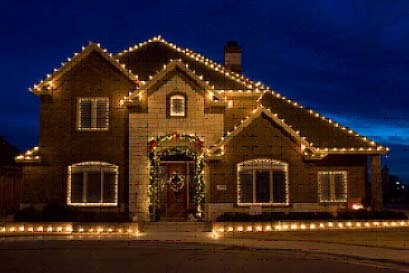 If that’s what you want for your outdoor Christmas decor, you want LED Christmas lights. The average American starts their outdoor Christmas decorating two days after Thanksgiving – Black Friday of course absorbs the day after turkey day. Let’s say you fit the credentials of this average American, and let’s say you run your lights from 5 p.m. until 10 p.m. every night until Christmas day. That’s 150 hours that you’ll be running your outdoor Christmas lights. That’s also about one seven-hundredth of how long outdoor LED lights are able to run. Since these wonders of modern holiday technology can run nonstop for about 10 years, there has to be something unique about them that makes them able to do this right. Well unlike the traditional incandescent outdoor christmas lights, LEDs use a light-emitting diode that harnesses fast electron movement to create a sufficient glow- sufficient glow because of their lower wattage. 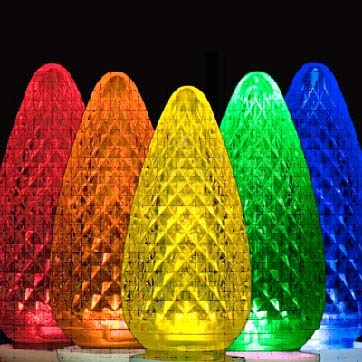 Incandescents use about .48 watts per bulb, more than four times the amount of LED Christmas lights, a big reason why they are more energy efficient. If you are the neighborhood attention hog and you need to save money, it’s worth it to invest in the LED technology. Each strand of 50 bulbs may cost 1.5 to two times more than regular incandescent lights, but in a 30-day period, it’ll cost you one sixtieth of what you would usually pay on energy.